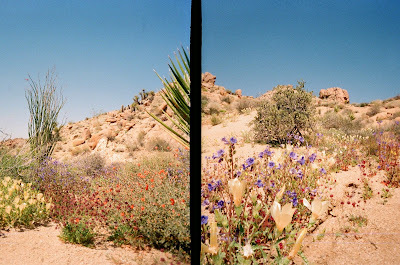 Last month I posted photos taken with my new Superheadz Golden Half camera that had been processed as individual frames. 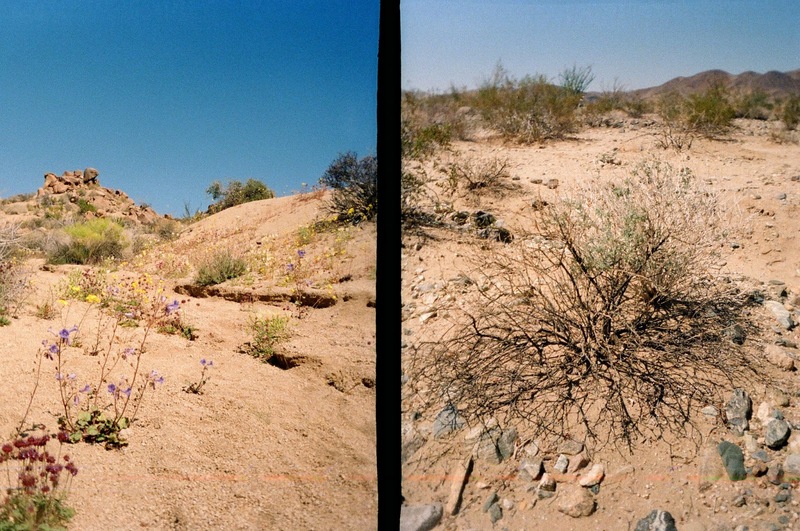 However, the Golden Half actually takes two photos for every standard 35mm frame. 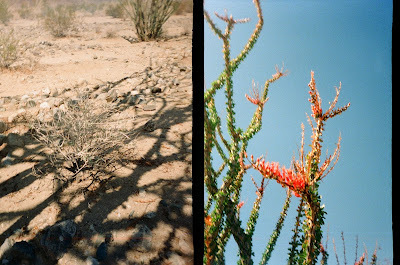 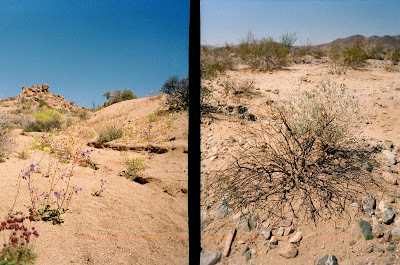 Here are some photos processed as 35mm frames. 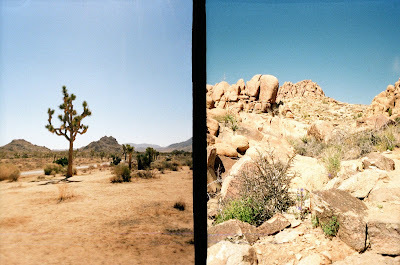 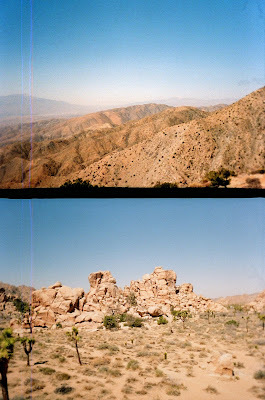 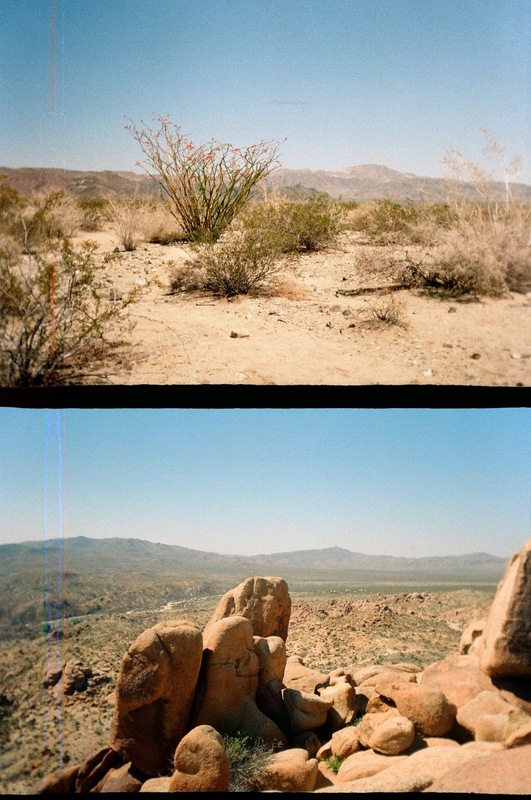 I took this set on my first trip to Joshua Tree National Park. 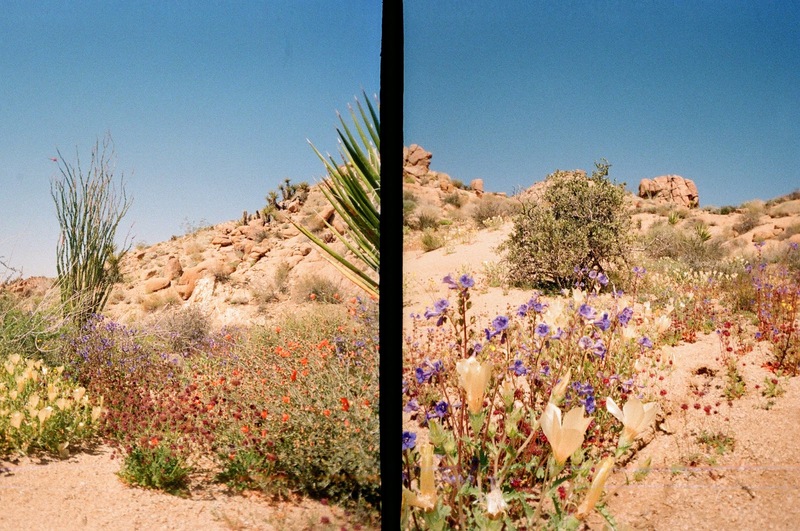 It turned out that I had arrived just in time for the spring wild flower bloom, a rare season in the desert.